Crystalline silica is a natural substance found in stone, rocks, sand and clay, as well as products like bricks, tiles, concrete and some plastic composites. Its impact on people who are exposed to it can be deadly. When these materials are worked on, for example by cutting or drilling, the crystalline silica is released as a very fine dust. Every week in Britain, an estimated 15 people die from lung cancer caused by exposure to this dust at work. In the European Union, it is estimated there are around five million people exposed to silica dust in the workplace annually. A cross-sectoral group of organisations have called time on the issue. 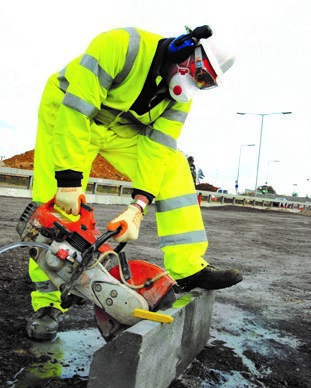 After signing a commitment to tackle the cancer risk posed by respirable crystalline silica (RCS), they have removed or substituted materials which contain the deadly dust while others have introduced mechanisms to control what workers breathe in. The ‘Tackling respirable crystalline together: a cross-industry commitment’ was joined by organisations from construction, rail and mineral products industries, as well as professional bodies, academics and unions. In November 2017, IOSH organised a meeting to discuss the important work implemented by organisations. 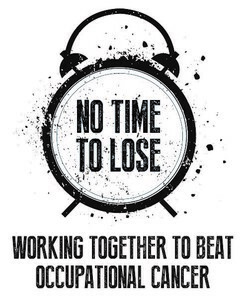 Speaking about actions taken by IOSH, Shelley Frost, IOSH’s director of strategic development, said: “We surveyed 36 No Time to Lose pledge signatories to see what actions had been taken. “It was encouraging to see a number of participants eliminating the risk by removing or substituting silica-containing materials and considering mechanisms for controlling dust at source. Over 70 per cent are also actively reviewing contractors’ risk assessments for potential silica dust exposure and controls. “This really illustrates how our campaign is helping businesses drive change and prevent exposure to RCS. Other organisations provided updates. 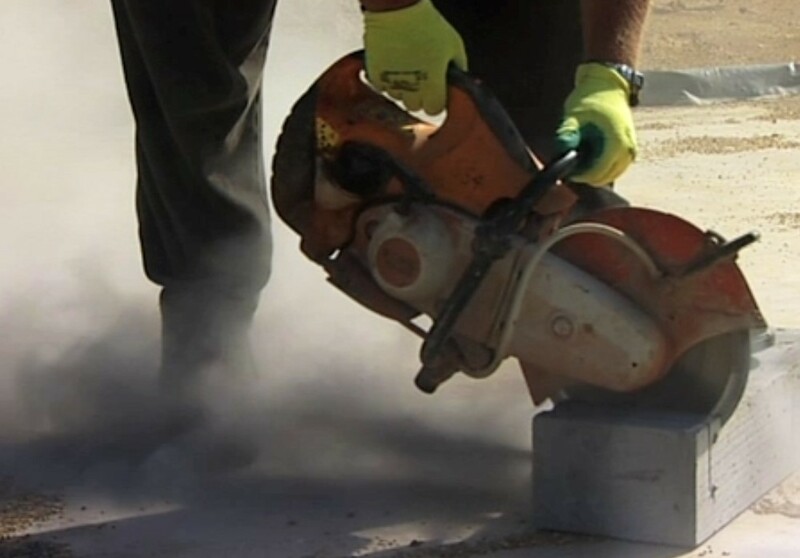 The International Commission on Occupational Medicine publicised findings from a study which revealed that around 48,000 deaths are caused by exposure to silica dust at work worldwide, every year. The Institute of Occupational Medicine published a scientific paper that includes a health and economic assessment for RCS, which is being used to underpin possible changes to European Regulations. Imperial College London highlighted the silica burden at high-profile conferences. The UK’s Health and Safety Executive is tackling RCS through a variety of interventions including its Health and Work strategy, Go Home Healthy campaign and the Workplace Healthy Lungs Summit. The British Occupational Hygiene Society launched a new course ‘Certificate in Controlling Health Risks in Construction’ and Unite the Union has raised awareness of RCS to all Unite National Industrial Sector Committees. The Office of Road and Rail, Crossrail and Network Rail are working to improve conditions and raise awareness throughout the rail industry. Network Rail has implemented a strategic review, comparing ballast and dust specifications, gaining a better understanding of risk exposures and providing a range of mitigations to reduce the risk of exposure. The Mineral Products Association has developed a health surveillance chest x-ray programme, and has conducted over 2,000 chest x-rays. In the construction industry, Tideway has written a designers’ guide and has eliminated the health risks at the design stage on a number of initiatives. Park Health and Safety Partnership’s occupational hygienists have engaged clients on several major UK construction projects by providing support and advice to mitigate exposure. 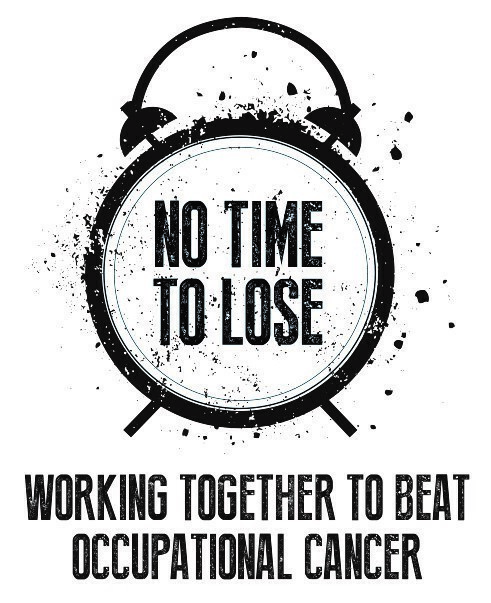 To find out more about the initiatives implemented by organisations and to get free resources to tackle silica dust, visit www.notimetolose.org.uk.